Mike brought a dozen racers from the east coast to Mt Hood in the fall of 1978 for some early season training on the newly built Palmer chairlift. He quickly discovered the incredible opportunity the area offered for summer training, and the rest is history. When Mike isn't busy running the camp, he enjoys tennis, windsurfing, and playing bridge. Lynne has been there every step of the way alongside Mike running this camp since 1979, while raising 2 daughters. She attended Suny Cortland where she majored in Elementary Education. Lynne retired from teaching elementary school in the Hood River school district. She also was the Mighty-Mite Director at Squaw Valley. Lynne enjoys tennis, gardening, family and traveling and her favorite website is Websudoku.com. Currently coaching at Jackson Hole, Wyoming, Mike also coached Gould Academy as well as the Canadian National team (NorAm, Europa Cup, World Cup levels), 1995-2002. He also was head coach at Bromont Ski Academy in Quebec. Mike brings with him 30 years of experience and success at every level. He's been with MHSSC since 2002. 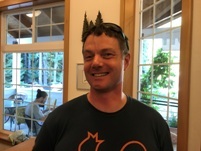 Brad, from Hood River, Oregon, is the program director for the Mt Hood Meadows race team. He has also coached Jackson Hole ski club, snowbird ski team, Squaw Valley ski team and the US ski team. His favorite website is ikitesurf.com and favorite food is BBQ. He enjoys kiting and being a dad, and he roots for the Boston Red Sox. Brad started working at MHSSC in 2016. Roger, from Bozeman, Montana coaches at Bridger Ski Foundation. He has also coached the Park City ski team, Gilboa, and the U.S. ski team. This past year he was assistant coach for Kristina Koznick. Roger attended Montana State University. He enjoys surfing, mountain biking, windsurfing, hunting and hockey. Roger has been at MHSSC since 2006. Bob lives in Atkinson, NH. He is the head U16 coach for Crotched Mt in New Hampshire. He enjoys sushi and bbq anything. He roots for the New England Patriots, Boston Celtics and the Red Sox. . Bob enjoys surfing and road cycling. He's been with MHSSC since 2001. 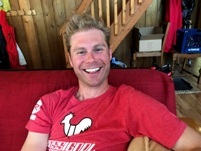 Ben is an alpine coach from Boise, Idaho. He coaches at the Bogus Basin Ski Education Foundation. His favorite website is Slate.com. Favorite food is pizza. He roots for the U.S. ski team. Ben has been working at camp since 1999. Mike is a level 3 certified ski instructor, currently teaching at Winter Park Resort. He was former Director of the Mountain Sports Center at Snowy Range in Centennial, Wyoming. Mike enjoys cajun food, pasta and a good steak. He roots for the Boston Bruins and he enjoys to golf. Mike has been working at camp since 2010. Jake is a college student from Sandy, UT. His favorite website is skracing.com and favorite food is tacos. Jake also enjoys waterskiing, fishing and roote for the Detroit Lions. Jake has been with MHSSC since 2015. Devan is a ski racer from Jackson Hole, Wyoming. She is majoring in Kinesiology with a minor in Spanish at the University of Wyoming. Her favorite website is outdoorgearlab.com and favorite foods include prime rib and Philly cheesesteaks. Devan enjoys mountain biking, rock climbing and water sports. Devan started working at camp in 2016. 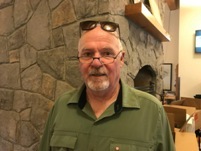 Dave is long-time ski race coach, currently living near Hood River, Oregon. Simon us a U10/U12 Alpine coach at Ski & Snowboard Club Vail. He was also coach at Vail High School and coach/instructor at Perisher Australia and University La Catola, Chile. His favorite website is Sprongo.com and favorite food is Mexican. Simon also enjoys biking, tennis, and surfing and he roots for the Boston Red Sox. Simon starting coaching at MHSSC in 2015. Andrea is from Hibbing, MN, now working as a ski instructor at Park City Mountain. She was previously an instructor at Breckenridge and Afton Alps. Andrea is Level 3 PSIA Alpine certified and holds a degree in Kinesiology from the University of Minnesota. She enjoys spending time on the lake, playing piano, reading, and roots for the Minnesota Wild. Andrea has been with camp since 2014. Spencer is Head Coach of the Lake Oswego High School Ski Team, his alma mater. He's a USSA 100 level certified coach with seven years of experience. Spencer raced on the Ski Team at Syracuse University in New York and has skied in Chile and China. 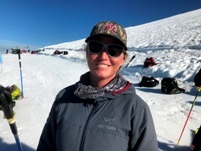 Kate, from Estacada, Oregon is on the NW PSIA Tech Team and she coaches at White Pass ski area. Her favorite food is Thai food and she enjoys mountain biking. Kate has been working at camp since 2010. Mac coaches for the Stevens Pass Alpine Club in Washington State. He was also an instructor at Beaver Creek. His favorite website is speedhunters.com. He enjoys racing cars. 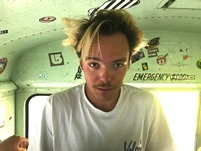 Mac started working at camp in 2018. Curtis is from North Battleford, Saskatchewan, Canada. Curtis' favorite food is pizza. He enjoys fishing. Curtis started working at camp in 2018. Brandon is from Portland, Oregon. He coaches for the Mt. Hood Meadows Race Team. His favorite website is youtube and favorite food is fried chicken. Brandon enjoys scuba diving. He started working at camp in 2018. Joey is from Ottawa, Ontario, Canada. He started working at camp in 2018. Will is from Longmont, Colorado. He was a U.S. ski team athlete, NSCD coach, University of Utah club team coach. His favorite website is youtube and favorite food Flank Steak. He enjoys climbing, golf, and volleyball. He roots for the Denver Broncos. 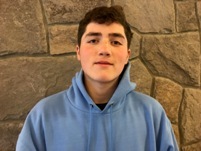 Will started working at camp in 2018. Madison is a student-athlete at Westminster College in Utah with a communications and marketing major. She is also a technician and rep for Atomic. Her favorite website is instagram and favorite foods include ice cream, chocolate burritos and pancake. She enjoys hiking, running, camping and playing the ukulele. Madison has been working at camp since 2018. Darren, from Salt Lake City, UT is our head mogul coach. He has a BS in Social Science. When he's not skiing powder, Darren enjoys riding his bike. He roots for the Utah Jazz and when he grows up, he wants to be a film director. Darren also designs the camp t-shirt each year. He's been with MHSSC since 1997. Jonah lives in Bend, Oregon. His favorite website is youtube and favorite food is cereal. Jonah wants to be a pilot when he grows up. He's been working at camp since 2015. Oscar lives in Wilsonville, Oregon. His favorite website is newschoolers and favorite food is Thai food. He roots for the Portland Trail Blazers and wants to be a chef when he grows up. Oscar started working at camp in 2017. Nash lives in North Shore, Maui in Hawaii. He attended Montana State. His favorite food is lemons. Nash started working at camp in 2018. Peter is a snowboarder from Middlebury, C. He's now living in Salt Lake City, UT, having graduated from the University of Utah where he studied Parks Recreation /Tourism and Commercial Recreation. He has worked with the Terrain park staff at Brighton Ski Resort, Dinosaurs Will Die Snowboards Tech Rep, and has been a Transworld Snowboard Magazine gear tester and reviewer. . His favorite website is vimeo.com/Segcos, favorite food Bacon jalapeno Mac and Cheese, and he also enjoys filming, photography, swimming, camping, anything outdoors. He roots for the New York Giants, Toledo Mud Hens, Rancho Cucamonga Quakes and the Vancouver Canucks. 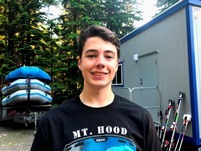 Peter starting working at camp in 2015. Michael studied Political Science/Economics at Columbia University. He's an AASI Level III and USASA Level II certified. He's been head coach/terrain park manager at Camelback. Michael's favorite food is authentic Mexican and his favorite website is Timberline Web Cam Page. Michael has been working at MHSSC since. 2011. 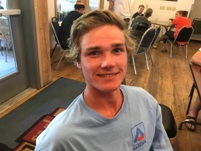 Ben is a AASI Level 3 freestyle certified instructor, originally from Bozeman, Montana. 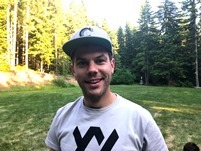 He has coached at Timberline, Riverdale High School snowboard team, and has been on the park crew at Mt Hood Ski Bowl. His favorite website is stillnotsponsored.com and his favorite food is anything from a taco wagon. Ben also enjoys dirt jump bikes and taking road trips anywhere. He's been working at camp since 2011. DIGGERS They keep our terrain park in awesome condition! 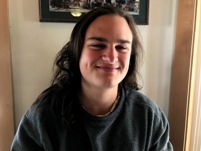 Jack is a snowboarder from Morganton, NC. He likes to eat tacos. When he grows us, he wants to be an "expert", and he is a world renowned ladiesman. Jack has been working at camp since 2011. John is a snowboarder from Charlestown, New Hampshire. He's worked at Darkside Snowboards for 3 years. His favorite food is blueberry pancakes and he enjoys painting, skating and reading books. He roots for Shawn White. 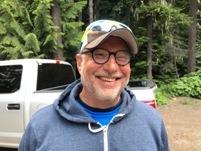 John started working at camp in 2017. Sasha is a skier from Chicago, Illinois. She is attending Pomona College. Her favorite website is brobomb.com and her favorite food is Gino's Chinese Chicken. She also enjoys soccer and she roots for the Chicago Bulls and Chelsea Football Club. Sasha has been with MHSSC since 2010. Nolan is a snowboarder from Washington DC. He's studying Mechanical Engineering & Computer Science at the University of Maryland. His favorite website is mthood.com and favorite food is sushi. He roots for the Maryland Terps. Nolan has been working at camp since 2013. Paul is a ski racer from Bayville, New York. He's attending Binghamton University, majoring in Industrial Systems Engineering. His favorite website is mthood.com and favorite food are eggs. For fun, Paul enjoys cycling. Paul roots for the Binghamton Rumble Ponies. He's been working at camp since 2016. Sam is a freeskier from Barrington, Rhode Island. He will be majoring in Business and Economics at the University of South Carolina. His favorite website is Amazon.com and favorite foods include ribs and brownies. He roots for the New England Patriots. Sam started working at camp in 2015. Lily is a ski racer from Somers, NY. She enjoys running and she roots for the Arsenal football club. She wants to be an engineer when she grows up. Lily has been working at camp since 2016. Julia is a ski racer from Commerce, Michigan. She's currently a high school student. Her favorite website is theonion.com and favorite food is Spongebob shaped kraft macaroni. She enjoys hanging out at the lake with friends. She roots for the Detroit Lions. Julia has been working at camp since 2016. Kris is a ski racer from Valatie, New York. She has a BS in Civil Engineering frm Clarkson University. She is currently pursuing sustainable building systems and inderdisciplinary PHD from Northwestern University. Her favaorite website is Pinterest and favorite food is mangos. She enjoys knitting, concerts, and playing with cars. She wants to be a senator when she grows up. Kris has been working at camp since 2018. Merumo is a ski racer from Ketchum Idaho. Her favorite website is youtube and favorite food is Sushi. She loves to ski and workout. She has a Japanese accent. Merumo has been working at camp since 2016. Lukas is a ski racer from Cameron Park, California. His favorite website is youtube and favorite food is pizza. He enjoys playing soccer and he roots for the Balitmore Ravens. He hopes to be an engineer when he grows up. Lukas has been working at camp since 2017. Anya is a ski racer from Troy, New York. She's a Marine Bio major. Her favorite website is Netflix and favorite food is pasta. She enjoys sleeping. 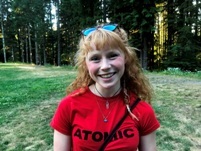 Anya started working at camp in 2017. Isaac is a ski racer from Northampton, Massachusetts. He currently attends Northfield Mount Hermon. His favorite website is youtube and favorite food is ramen. Isaac enjoys surfing, fishing, mountain biking and trampolining. He roots for all the New England sports teams. 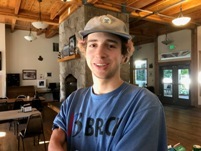 Isaac started working at camp in 2016. Steve is a ski racer from Jackson Hole, Wyoming. Favorite food is anything Italian. Steve enjoys rockclimbing , fishing and playing tennis. He roots for the Boston Red Sox. Steve has been working at camp since 2015. Peter is a freeskier from Barrington, Rhode Island. His favorite website is Slvsh.com and favorite food is pizza. He enjoys playing lacrosse and hanging out with friends. He roots for the New England Patriots and his favorite movie is 'Cool Runnings'. 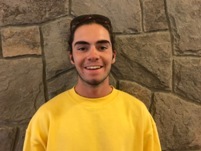 Peter started working at camp in 2016. Ethan is a ski racer from Silver Spring, Maryland. His favorite website is netflix and favorite food is tacos. He enjoys mountain biking and he roots for the Pittsburgh Steelers. 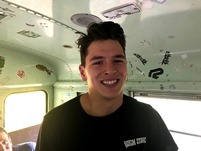 Ethan has been working at camp since 2018. Jonathan is a ski racer from Newton, Massachusetts. His favorite food is pizza and he enjoys mountain biking and hiking. He roots for the Boston Bruins. Jonathan as been working at camp since 2017. AJ is a freeskier from St. James, New York. His favorite website is newschoolers and favorite food Sushi. He enjoys mountain biking, enjoys the outdoors, and he roots for the NY Giants. AJ has been working at camp since 2017. Richard is a ski racer from Mamoroneck, New York. His favorite website is youtube and favorite food is pasta. He enjoys hiking and he roots for the U.S. Ski Team. Richard started working at camp in 2015. Robin, from Portland, OR, is our head Videographer. His favorite website is youtube and he roots for the Portland Trail Blazers. He enjoys playing basketball, and juicing. Robin was a camper at MHSSC in 1982 and has been working with us since 1986. Patrick is a freeskier from Seattle, Washington. He's majoring in Meteorology at the University of Washington. His favorite website is newschoolers.com and his favorite food is burritos. He roots for the Seattle Seahawks and he also enjoys mountain biking and climbing. Patrick has been working at camp since 2011. Matt is a freeskier from Acton, MA. He's been a ski instructor and his favorite website is newschoolers.com. He enjoys eating pizza and for fun he skateboards and roots for the Boston Celtics, Bruins, Red Sox. Matt started working at camp in 2016. Reid is a ski racer from Rescue, CA. He attends University of Nevada Reno studying Environmental Science. .Reid has worked as a boot fitter. His favorite website is Pinkbike and favorite food is French Toast. Reid enjoys rockclimbing and mountain-biking and he roots for the SF Giants. He's been working at camp since 2010. Emma is a snowboarder from Sleepy Hollow, NY. Her favorite website is netflix and she enjoys playing ice hockey, reading and photography. She roots for the Pittsburgh Penguins and she speaks Spanish. Emma starting working at camp in 2016. John is a ski racer from Scarsdale, New York. His favorite website is youtube and favorite food is apples. He roots for the Bolton Wanders F.C.. John started working at camp in 2016. Chadwick is a ski racer from Millbrook, New York. His favorite website is soundcloud and favorite food is lobster. He enjoys skateboarding. 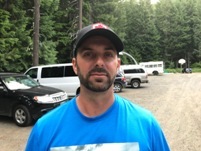 Chad started working at camp in 2018. Bill is a ski racer from Reno, Nevada. He studied Architecture at University of Utah. His favorite website is ExpeditionPortal.com and he enjoys eating Mexican food. Bill also enjoys road-biking and waterpolo. He's also a wildland firefighter. Bill has been working at camp since 2007. Robert is our camp handyman/maintenance man/artist. He studied graphic arts/drafting at Mid Valley Vocational and Pikes Peak Community College. His favorite website is Amazon.com and when he's not working, he enjoys doing art projects, fishing and panning for gold. He roots for the Chicago Bears/Cubs/White Sox/Bulls/Blackhawks. Robert has been working at MHSSC since 2006. Mark, originally from Dallas, Texas, is the Snowboard Program Director/Head Coach, Telluride Ski & Snowboard Club. He is the current and 5-time USASA Legends Overall National Champion and Slopestyle Champion. Mark is a national level certified coach with USASA. He is a former Pro Jet Ski Racer, Motocross racer, expert surfer, wakeboarder, BMX racer, and he can ski too. Mark has been with MHSSC since 1998. Spencer is racing for the University of Colorado ski team, where he is majoring in Finance and Marketing. He has also interned for Atomic Skis. Spencer's favorite website is CUBuffs.com and he roots for the Colorado Rockies. He also enjoys mountain biking, rockclimbing and weightlifting. Spencer started working at camp in 2010.